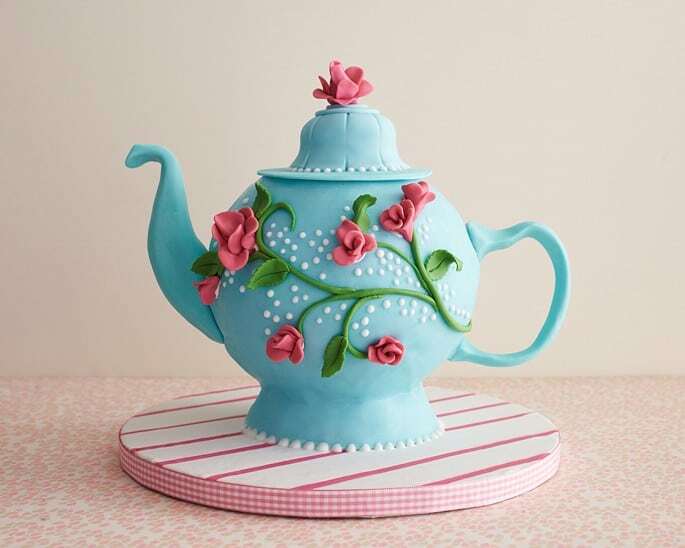 Tea Party Cake Ideas - Impressive Cake Ideas for a Memorable Tea Party! You’ll need a show-stopping birthday cake to take the center of the table…and these delightful cake ideas are the perfect inspiration! I wanted to show this cake because it shows two wonderful concepts! First, if you’re not the world’s best at spreading a nice even frosting, then cover the cake with coconut for a fun look. 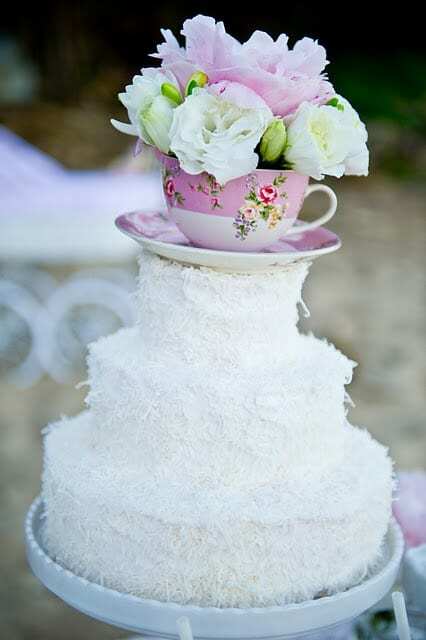 Second, you can use a real tea cup as a topper. 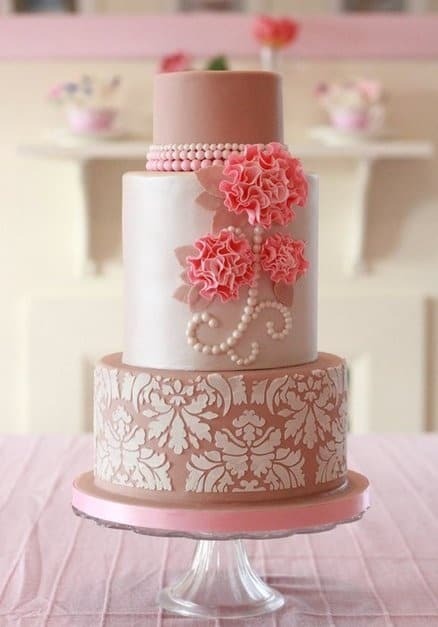 Just add a few flowers, and voila, your cake is a masterpiece! What an elegant, show-stopping cake! There aren’t any directions on the website as to how to actually decorate this cake, unfortunately. It looks to me as if she used stencils and molds to make the pearls. 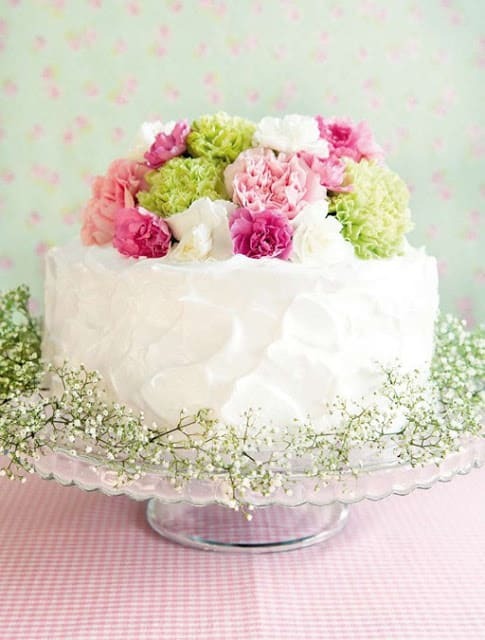 Here’s another easy way to create an elegant cake: use real flowers! Be sure to work with a florist to order non-toxic flowers, and wash the stems first. 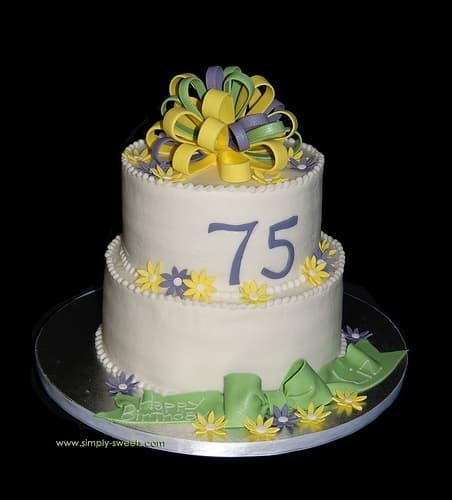 This forum post offers several ideas about the best ways to use real flowers on cakes. I ran across this on Pinterest, and thought how easy this would be to do! 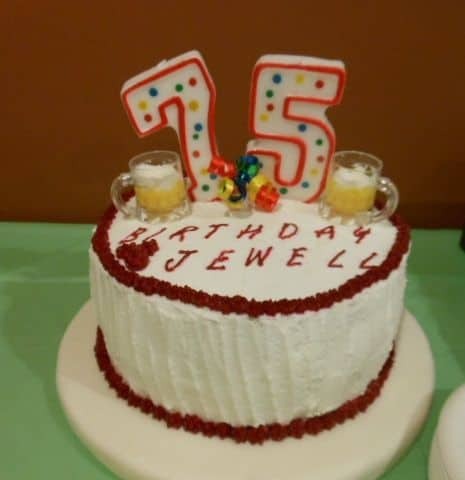 Just use “7” and “5” candles (you could even bling them out with ribbon or gemstones). Then replace the beer steins with a miniature tea set…it would be adorable! How beautiful is this cake? It’s way beyond my abilities, but the ladies over at The Cake Girls offer a thorough tutorial on how to decorate this cake...and you can even order the supplies through them. Ombre is so popular right now, and roses are always in style! Combine the two to create this masterpiece. 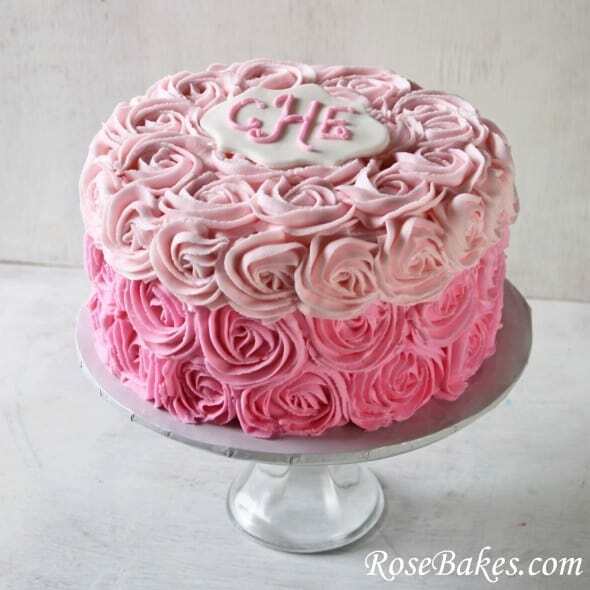 Piping roses is actually a very easy way to decorate a cake – and they always look fabulous. If you’ve never done it, check out this easy rose piping tutorial. Flowers, ribbons and a beautiful bow all come together in this striking cake! The site doesn’t have any directions available, but hopefully this will offer you a little inspiration. How adorable is this? If you’re hiring your cake out, or you have quite a bit of time to work on your cake, this idea is sure to be the star of the party! This was another Pinterest find without directions, unfortunately. 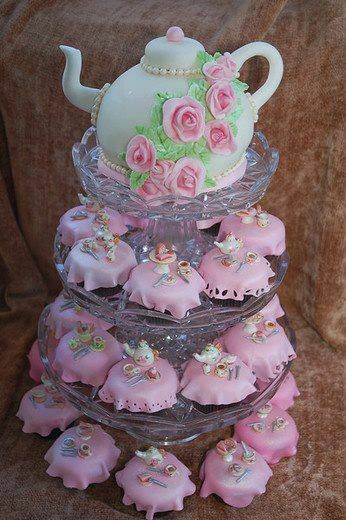 But I just had to show you the adorable cupcakes each decorated with a tea party setting.